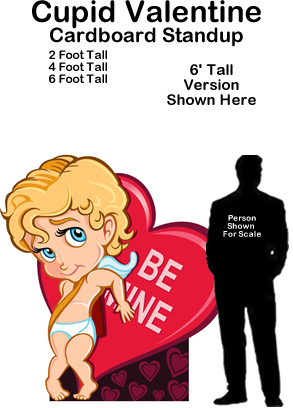 Cupid Valentine Entrance Cardboard Standup Prop - Dino Rentos Studios, INC. 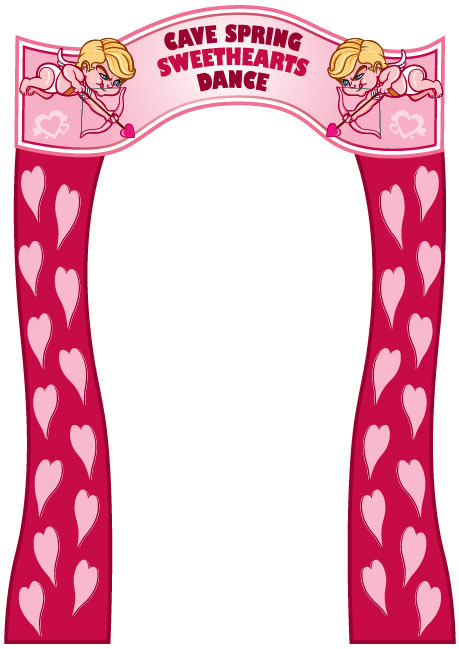 This Cupid Valentine Entrance Cardboard Kit is perfect for any Valentine or Romantic-themed event or party. School dance? Company event? Valentine party? 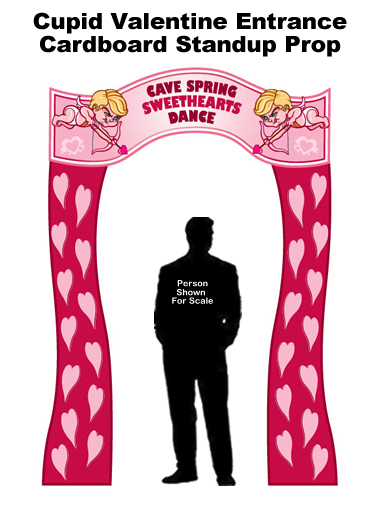 Breathe life into your next function with this cardboard standup entrance that's sure to generate smiles and get looks from everyone! 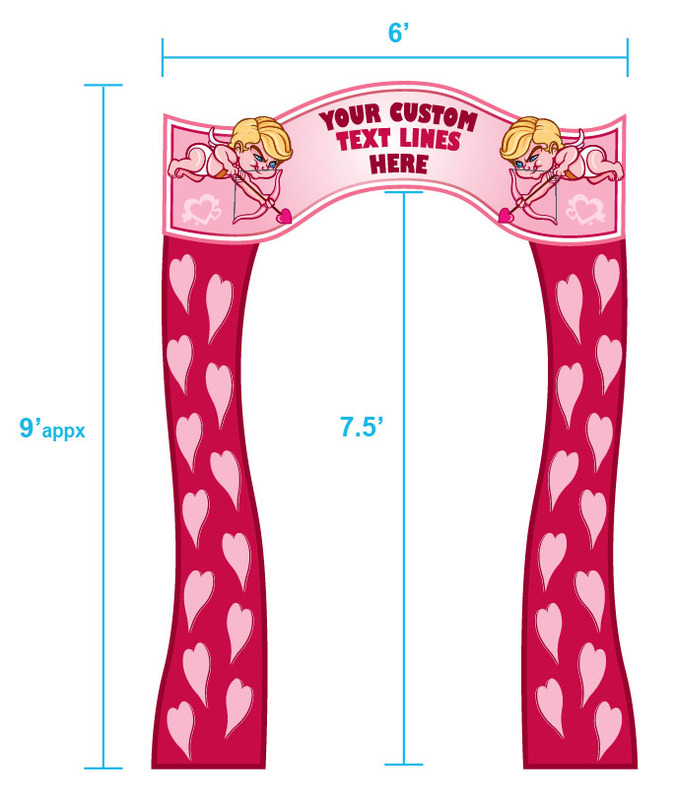 Comes with 2 Cupids attachable with foam to create an eye-popping 3D effect! 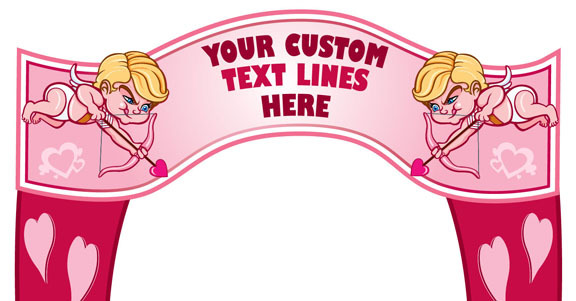 Also includes 3 lines of customizable text, perfect for your school name, function title, or company name. 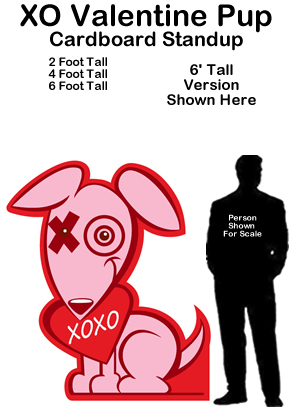 Entrance prop stands 9' tall with walkthrough opening at 7.5'.